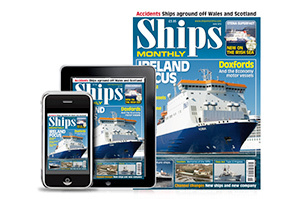 The latest issue of Ships Monthly is now available. Go to Kelsey Shop to get your copy. 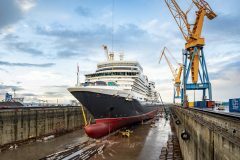 WATERFRONT Hansa heavylift goes bankrupt, OOCL marks half a century of operations, and Damen to establish a ro-pax division. FERRY Brittany Ferries changes colour, P&O Ferries named ‘operator of year’, and Steam Packet has high hopes for season. 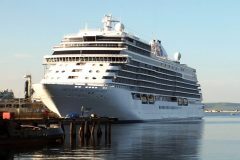 CRUISE Mystic Cruises increases order, Celebrity Edge arrives at Port Everglades, and Sunstone orders more expedition ships. NAVAL Names announced for Type 26 frigates, Offshore Patrol Vessels retained, Dutch warship to be named Den Helder, and RAN’s new replenishment ships. CARGO Wan Hai orders boxboats, Belships plans cargo fleet merger, Del Monte orders new ships, and Rigel starts fleet disposal. SYMPHONY OF THE SEAS The world’s largest cruiseship, which entered commercial service in European waters in April 2018. 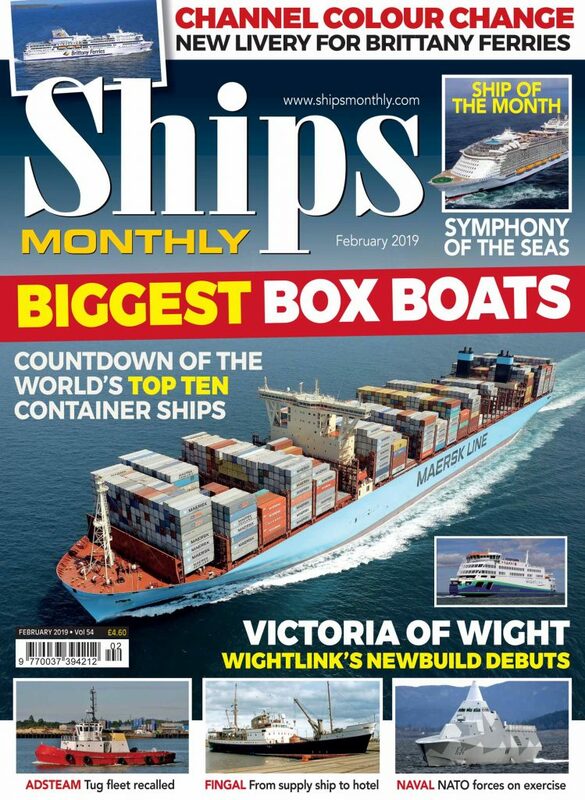 VICTORIA OF WIGHT Profile of new environmentally friendly ferry, which operates on the busy Portsmouth to Fishbourne route. MARITIME MOSAIC Photo feature covering some of Adsteam’s tugs when they were in service at Southampton. BERGENSFJORD History and profile of the classic motor ship Bergensfjord, the second of four post-war liners to be introduced by Norwegian America. 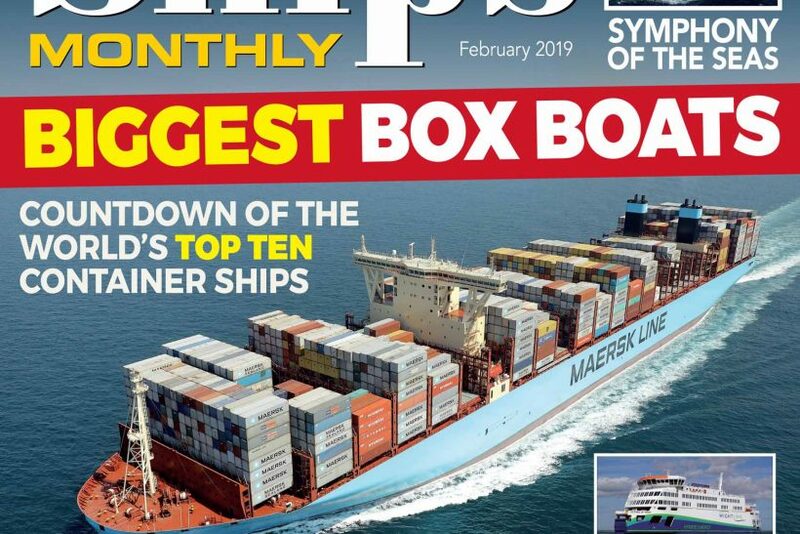 BIGGEST BOXBOATS The top ten new containerships that entered service over the past year. NATO EXERCISE Report and photos of the recent NATO exercise Trident Juncture. FINGAL PROFILE The former Northern Lighthouse Board supply ship Fingal, which is now in Edinburgh as a floating hotel. PIRAEUS PAGEANT Photos of some classic ferries and cruise ships at the Greek port of Piraeus. INDIAN VOYAGE A four-night voyage aboard Shipping Corp of India’s now broken-up 1974-built passenger vessel Harsha Vardhana. 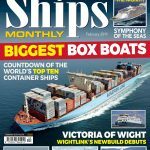 FROM THE BRIDGE Captain Matthew Lynch, master of the Stena Line’s ferry Stena Superfast X, talks about his career and his ship.